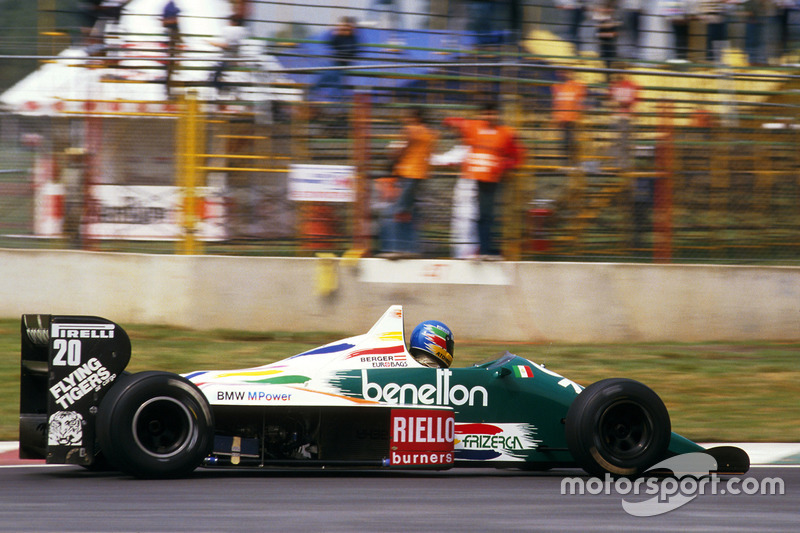 The first car we’ll feature from this decade may not be the one you’re expecting but it was certainly of its time: Benetton’s BMW-powered B186 broke from the established order, left an indelible mark on the history books and featured the most powerful engine ever to be strapped into an F1 car! 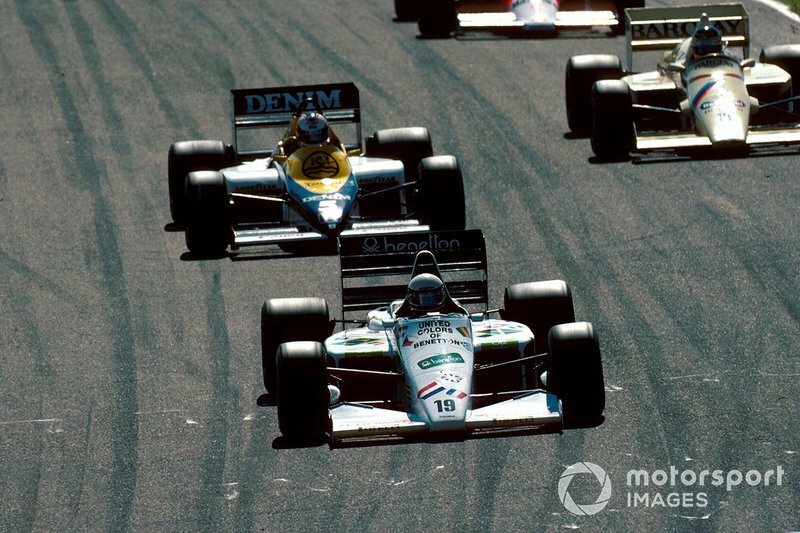 It might have said Benetton above the door in 1986 but it was still very much Toleman at its very core, a team that had already etched its name into F1 folklore. 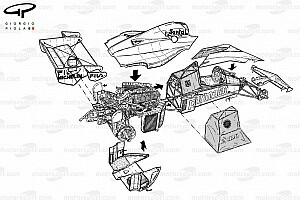 Perhaps most famously remembered for the double-winged TG184 it helped to catapult a young Ayrton Senna into the hearts and minds of every fan at the Monaco GP. The Brazilian, having started 13th, was imperious in the wet coditions and set about dragging the car up the order. 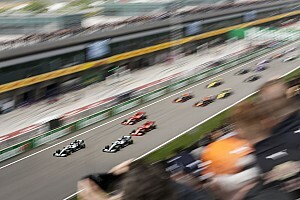 He would not only record the fastest lap of the race but also crossed the finish line first, only to see his result altered to second due to the timing of the red flag so McLaren’s longtime leader Alain Prost won. 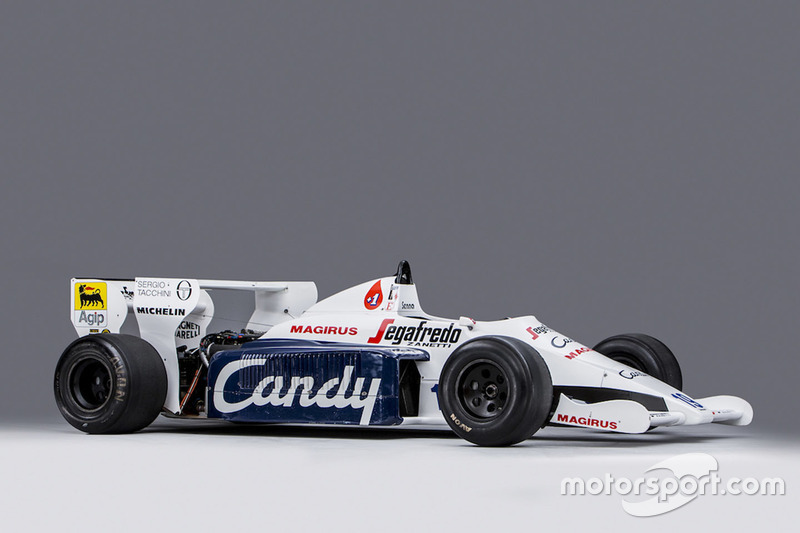 Relative success aside, Toleman had made waves among the F1 community but was struggling financially. 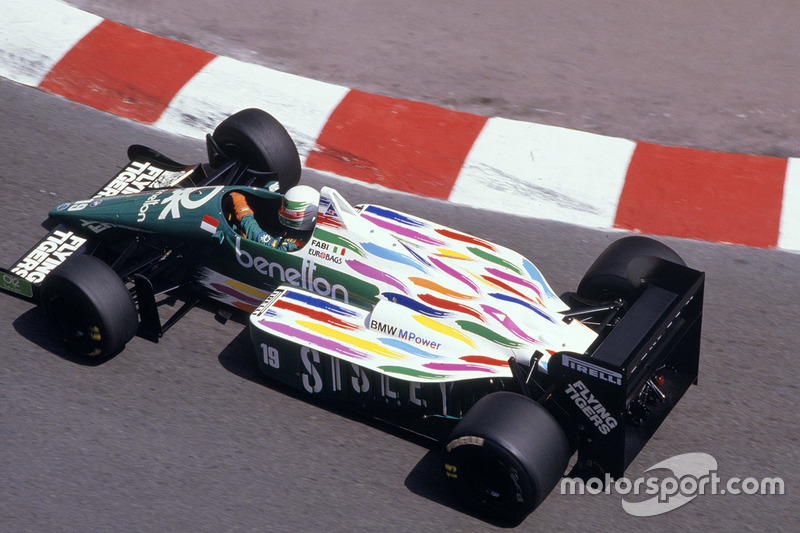 It had also made its fair share of enemies… Enter Benetton, who’d arrived in the sport at the start of 80s, seizing upon Formula 1’s global reach and with it an avenue to the clientele it wanted to attract. It started out small, sponsoring Tyrell and Alfa Romeo, before throwing even more financial clout behind Toleman in 1985. At that stage it was still Toleman above the door, but behind the scenes everyone knew it was Benetton pulling the strings. The first problem was keeping the team suited and booted, given the lack of tyre suppliers willing to supply it. 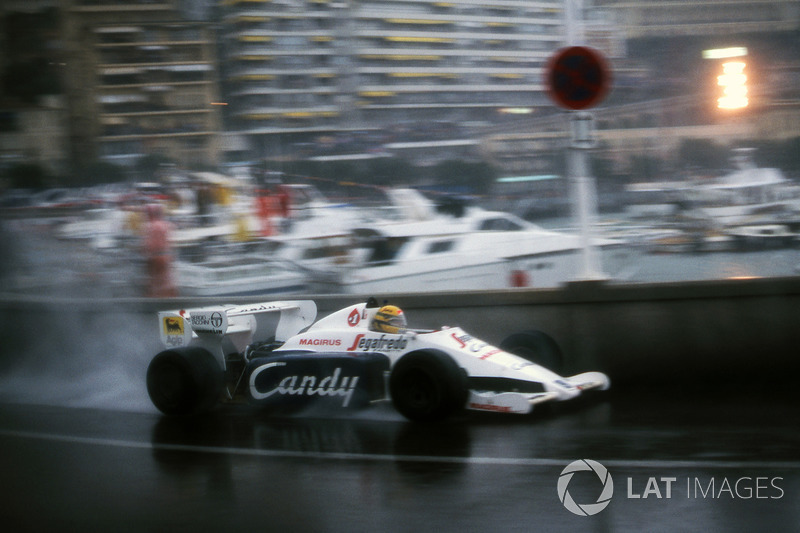 Toleman ran Michelins in 1984, but the French manufacturer had left the sport and, seeing as it had already angered Pirelli when switching to Michelin, that route was out of the question too. Goodyear didn’t want to know either, suggesting they were already at capacity, which left the team at somewhat of an impasse. 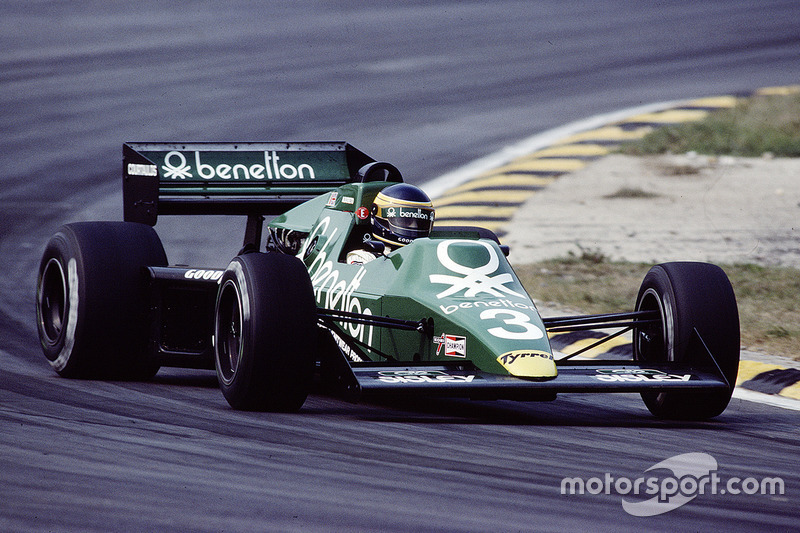 Unable to compete in the opening three rounds of the championship, Benetton finally bought out the Pirelli tyre contract of Spirit Racing, who had decided to withdraw from the sport and that got Toleman’s season underway. It was to be a 1985 season full of retirements and disappointments, aside from one moment in the sun, as Teo Fabi recorded a pole position time in the Friday session at the German GP that couldn’t be beaten on the Saturday due to rain. However, the glory was to be short-lived as a clutch issue on race day saw him drop to 10th at the start before retiring on Lap 29. 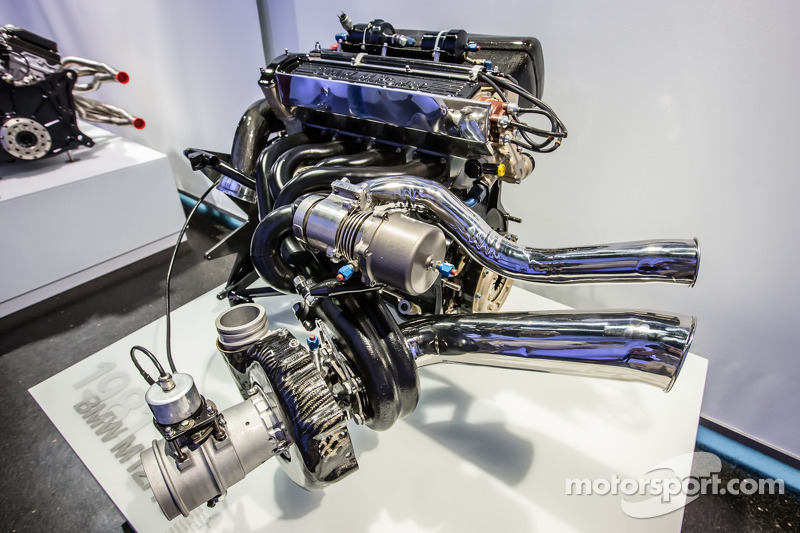 BMW’s M12/13 inline-4 turbocharged engine was an absolute rockstar that makes the current talk of ‘party mode’ seem like an office outing on a wet Wednesday rather than a sold-out concert. Running over 80psi of turbo boost it was so powerful that no-one can actually pin a figure on the output, with dynos of the time unable to measure power figures that high – although BMW did calculate a figure in the neighbourhood of 1500bhp! 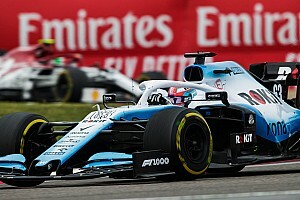 Paired with a gearbox and tyres that could be thrown away after a one-shot qualifying special it was an entirely different prospect come race day, as the engine was detuned, the gearbox changed for something a bit stronger and longer-lasting Pirelli tyres bolted-on. Thus the team would desperately cling onto the slim hope it might make it through a race distance. This 'go big, or go home' mentality meant that parts would often get chewed up and spat-out all over the place, but on the very rare occasion the stars aligned, the B186 rose to the top. 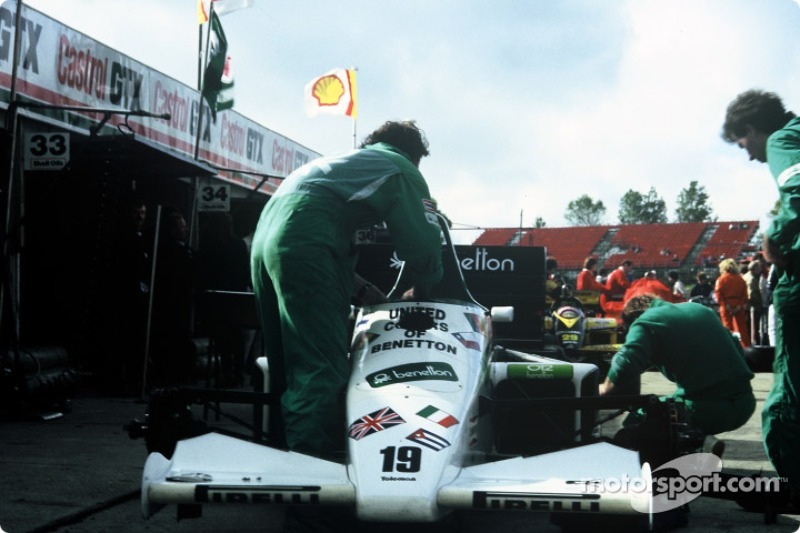 In fact, lightning would strike twice, as not only did Benetton qualify 1-2 in Berger’s back yard at the Osterreichring (albeit with Fabi out qualifying his Austrian teammate) it also scored pole in Fabi’s backyard at Monza, as the Italian outpaced his closest rival by four tenths of a second! 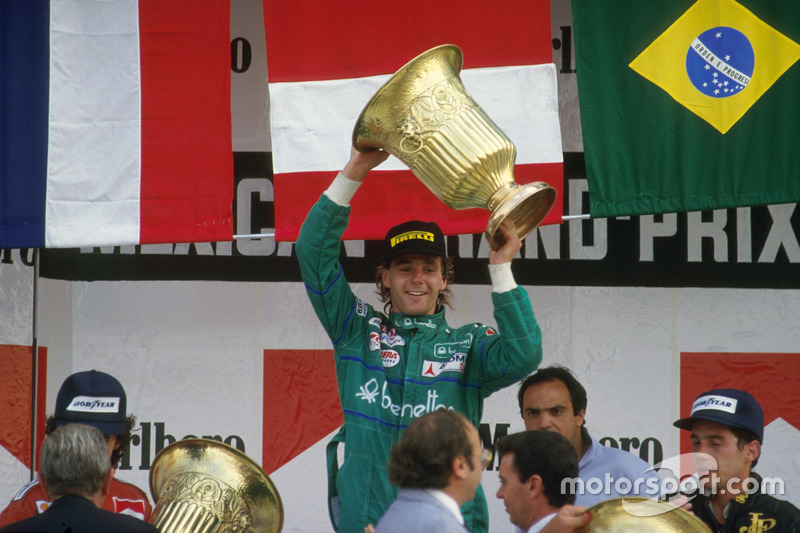 It was Berger who was to steal the show later in the season though, as F1 rocked up at a returning, reconfigured, bumpy and abrasive Hermanos Rodriguez circuit in Mexico. Having qualified in fourth the Pirelli-shod B186, the car proved well suited to dealing with the heat and altitude, while also being kind on its tyres. 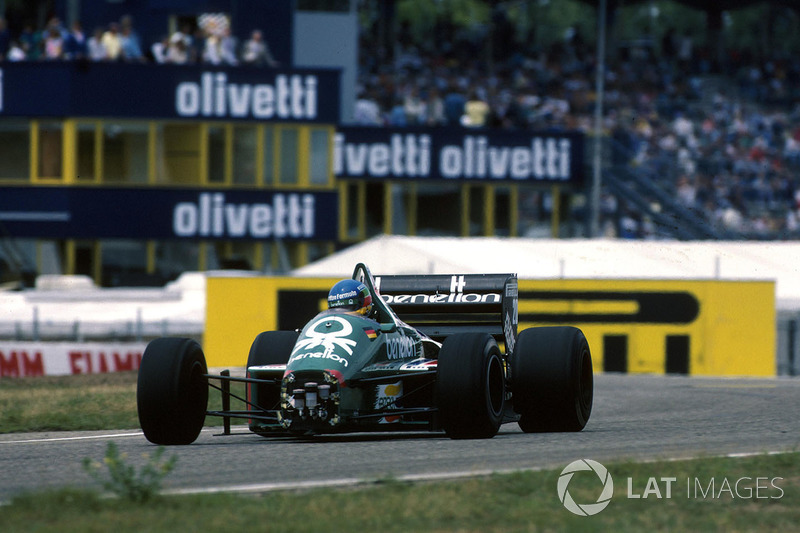 As his rivals succumbed to severe tyre wear during the early phases of the race, the Austrian simply continued to stomp around and went on to secure his and Benetton’s maiden victory on the same set of rubber that he’d started with! 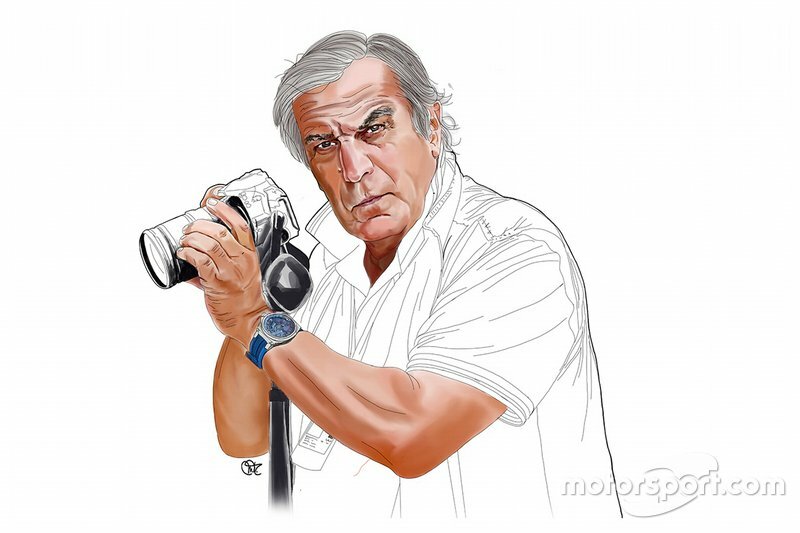 You can now own a piece of this story too, as a collection of posters showing off Giorgio Piola’s magnificent illustrations have been made available for you to own. 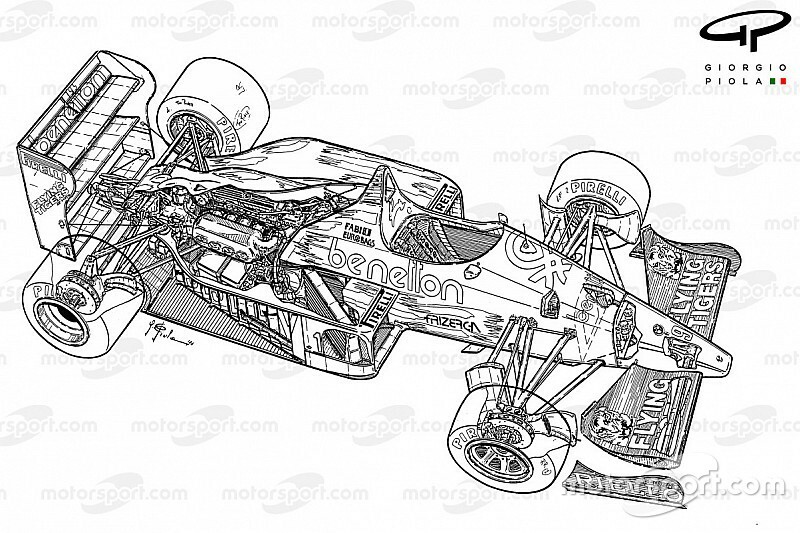 The Benetton B186 from this collection is a full car cutaway.